In the season of April showers, it’s more important than ever to have a rain sensor properly installed on your lawn sprinkler system. 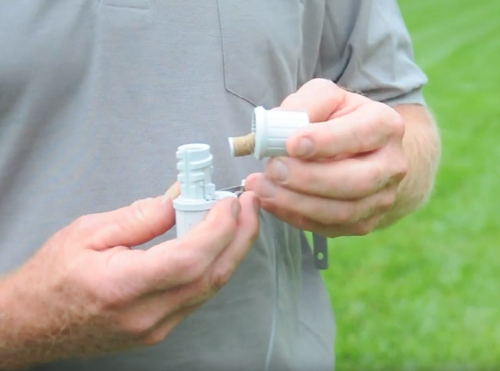 These ingenious little devices are simple, but serve an important purpose– to keep your sprinklers from running during and after a rainstorm. Overwatering your lawn and garden is bad for many reasons– for the environment, your water bill and for the health of your plants. How Does a Rain Sensor Work? Rain collects in the top, and falls into the device, where discs swell with moisture. When they swell enough, the discs push on a switch that shuts off your sprinkler system. Your sprinkler programming remains the same and will resume when the rain sensor dries out. The sensitivity on the sensors is adjustable; it can turn off your sprinklers after registering one-eight to one inch of rain. In our region, we typically recommend shutting your system off after one-eighth inch of rain. 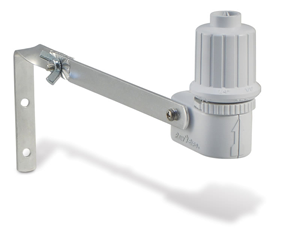 Rain sensors come in wired and wireless varieties. The wired option takes more time to install, because the installer must run the wire from the sensor to the control box. Also, all adjustments must be made on the sensor itself. Wireless rain sensors can be controlled at the control box, without climbing a ladder. However, the wireless sensor will need its battery replaced every couple years. Clearly, a rain sensor needs to be installed in the open, where rain will fall on it. We usually install them on house gutters, in an inconspicuous location. 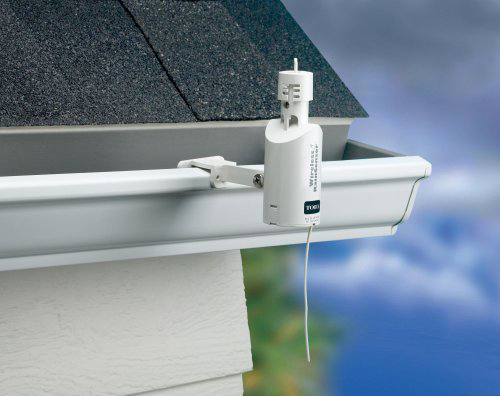 Typically, a rain sensor will operate for five to eight years before needing to be replaced. Sometimes, we have seen them last as long as ten years. Installing a rain sensor pays for itself in the first year of operation, which makes it a reasonable investment. If you’re interested in installing a rain sensor on your lawn sprinkler system (or, if you’re not sure if you have one installed already), give us a call!